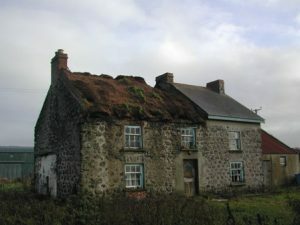 This two–storey thatch dwelling dates from 1820–1839 and had been vacant for a period of 5 years, subsequently falling into a rapid state of disrepair. 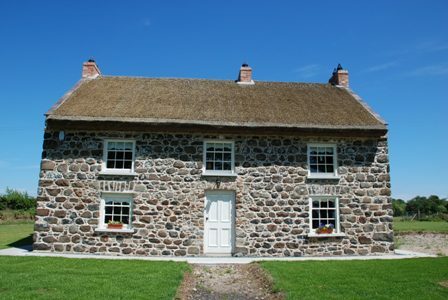 A previous renovation scheme had only partially thatched two–thirds of the roof, leaving the remaining section covered with slate. This would have been quite a common occurrence throughout the countryside in previous years due to the expense of re–thatching. 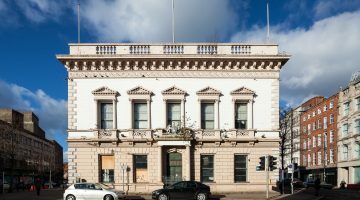 But in 2008 the building was rehabilitated by a sensitive and enthusiastic restorer purchaser who was committed to restoring the building as their private residence. 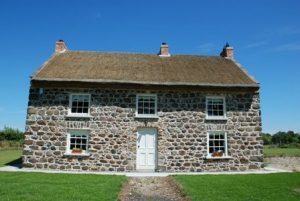 A Renovations Grant was available from the Housing Executive and 75% funding for re–thatching was available under the Northern Ireland Environment Agency’s Listed Buildings Grant Aid Scheme.